For those who have visited our Sydney warehouse, you may already know a bit about Rich. 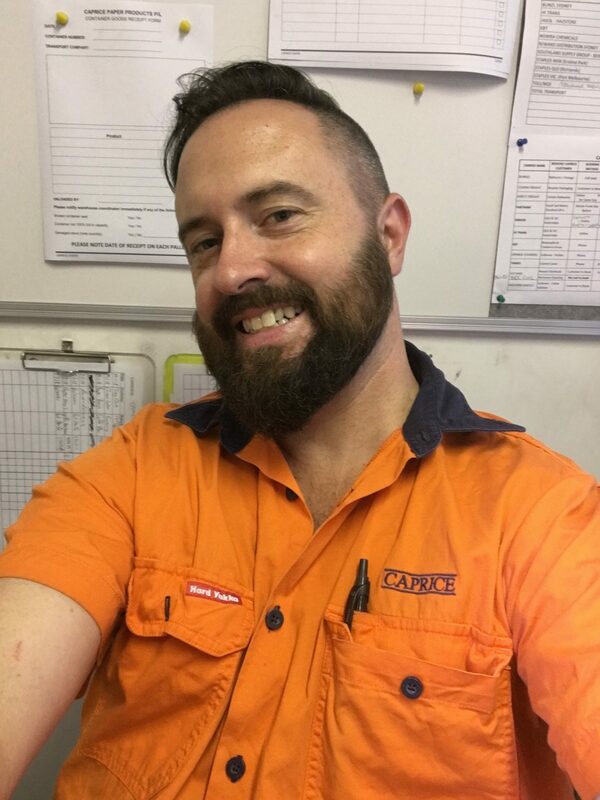 To those who haven’t, here’s a few fun facts about our NSW Operations Coordinator, Richard Wood. Rich has been with Caprice for 4 years now and says he loves working for a family run business where he not only enjoys his job but feels he is well suited to his position. Rich is a very important part of our team here at Caprice, helping ensure our NSW and QLD customers receive their Caprice goods. When Rich isn’t coordinating stock and transport at work, he enjoys playing his guitar and watching plenty of sport. He particularly enjoys cricket and rugby union and as a proud New Zealander, his favourite teams are the All Blacks and the Wellington Hurricanes. Rich’s favourite quote is from Eleanor Roosevelt, “You gain strength, courage and confidence by every experience in which you really stop to look fear in the face … You must do the thing you think you can’t do”. We think these are very strong words to live by. Rich loves Autumn at home but when he travels his ideal spot is a nice sunny beach, swim up bar and no kids. Sounds good to us! We love having Rich as a positive and hard-working member of our team and look forward to working with him for many years to come.